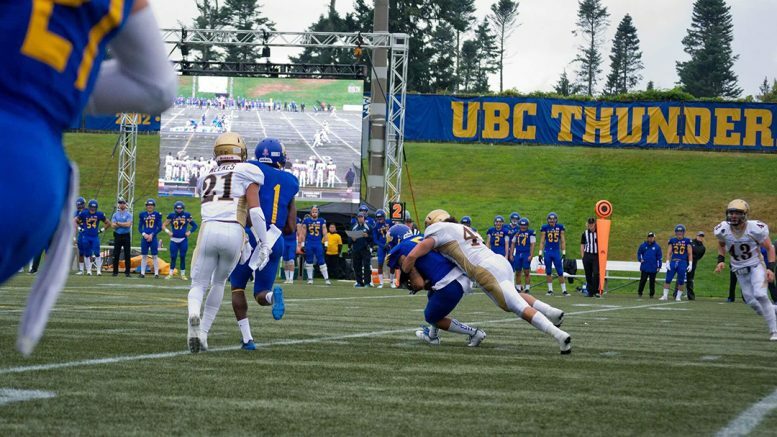 Bison linebacker James Mau makes a tackle against UBC. Bison middle linebacker James Mau is the type of person who lets his play do the talking. 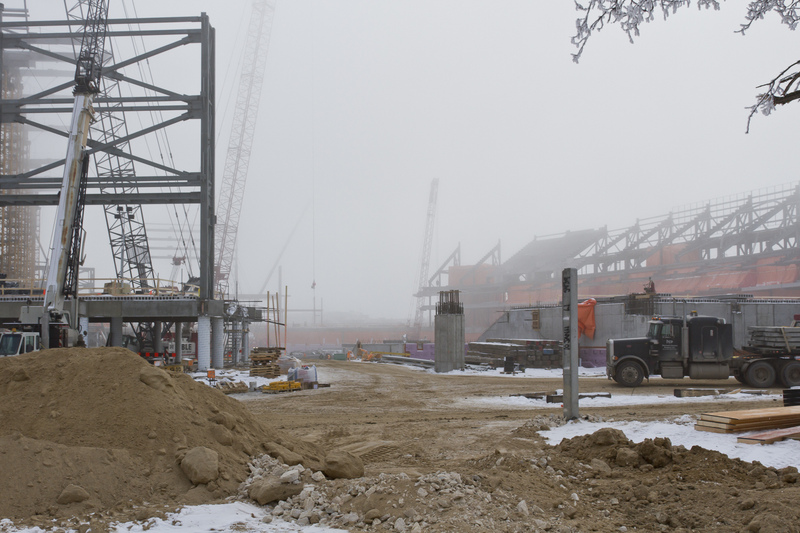 “I actually played on three different teams every year in high school. It was pretty intense,” he said. With that much football in his life, it should come as no surprise that Mau was able to get a few different university offers. 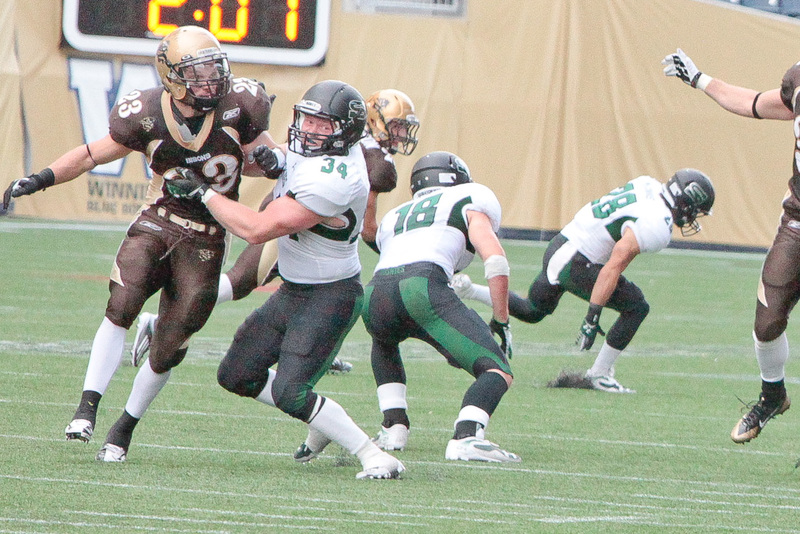 He eventually settled on Manitoba for the 2012 campaign, where he redshirted his first year. 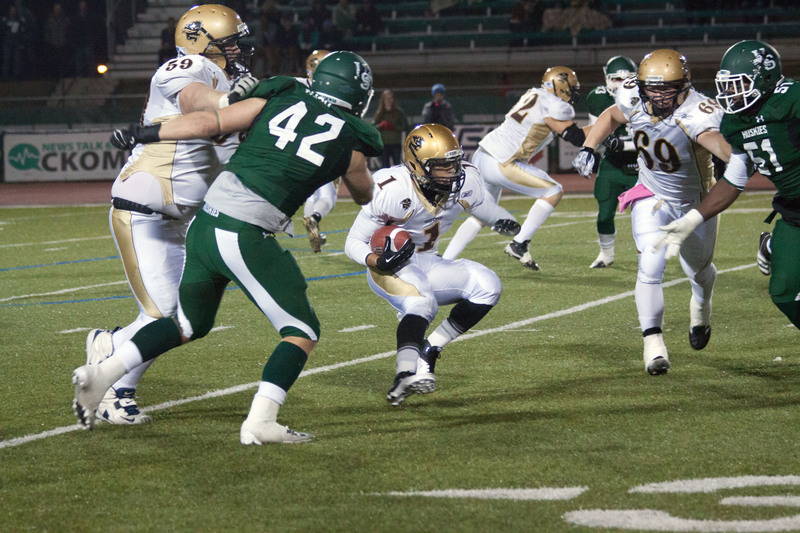 For the next four seasons, Mau made his mark on special teams as well as on defence, and was an integral part of the 2014 squad that upset Calgary to win the conference championship. From 2014 to 2016, Mau lived with former teammate and current NFL defensive lineman David Onyemata, which he said had a big impact on him both on and off the football field. Mau said he worked harder than ever this summer in particular, knowing that there were two open linebacker spots available for the 2017 campaign. His dedication paid off, as he earned the starting middle linebacker spot. While the team hasn’t gotten off to the start it wanted – the Bisons are 0-3 – Mau has shone individually. His 19 tackles leads the team and is ranked third overall in the conference. He has also collected two fumble recoveries and a sack. Mau remains humble when talking about his early season success, focusing not on what he has done well so far, but on what he hopes to improve upon.